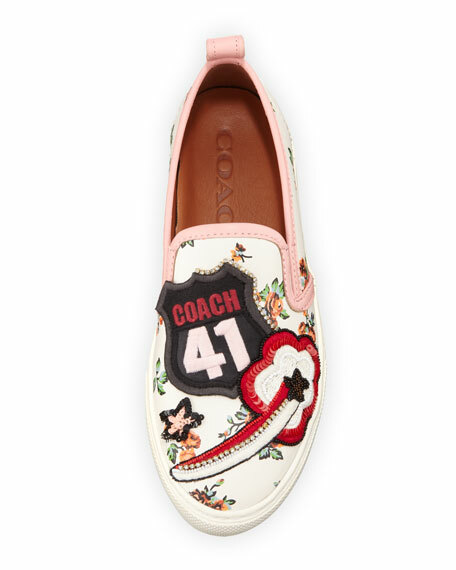 Coach floral-print leather sneaker with sequined, beaded and crystal embellishments. "Coach 41" fabric patch at vamp. For in-store inquiries, use sku #2475720.